LUMBERTON, N.J. (WPVI) -- A father and his adult son who allegedly were involved in a deadly fight outside their southern New Jersey home earlier this year have been indicted on murder charges. 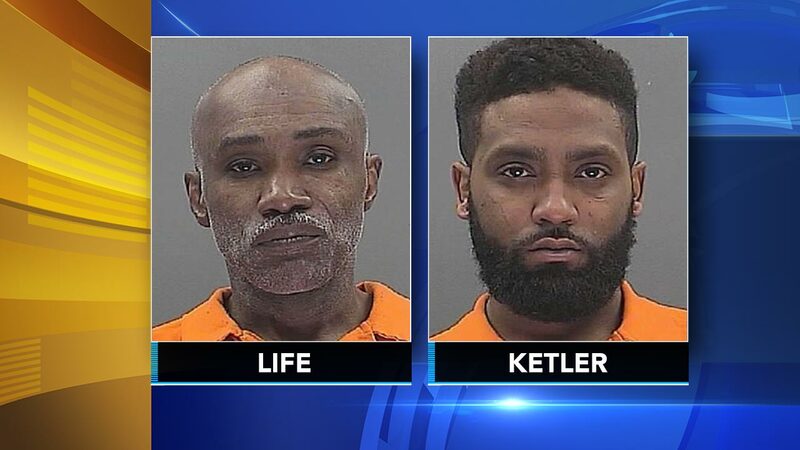 Burlington County prosecutors say 56-year-old Supreme Life and 32-year-old Antoine Ketler also face attempted murder charges in the indictment handed up Thursday by a county grand jury. Life also faces two weapons counts. Prosecutors have said Life and Ketler fought with 26-year-old Moriah Walker, of Brooklyn, and 23-year-old Raheem Williams, 23, of Queens, on Feb. 4. But they haven't said what sparked the brawl with the two New York City men. Walker was pronounced dead five hours later. Williams underwent surgery and has since been released.